To make sure we can seamlessly work in teams, we have a specific requirements for our hosting environment. Currently, our hosting solution of choice is Netlify and Heroku. 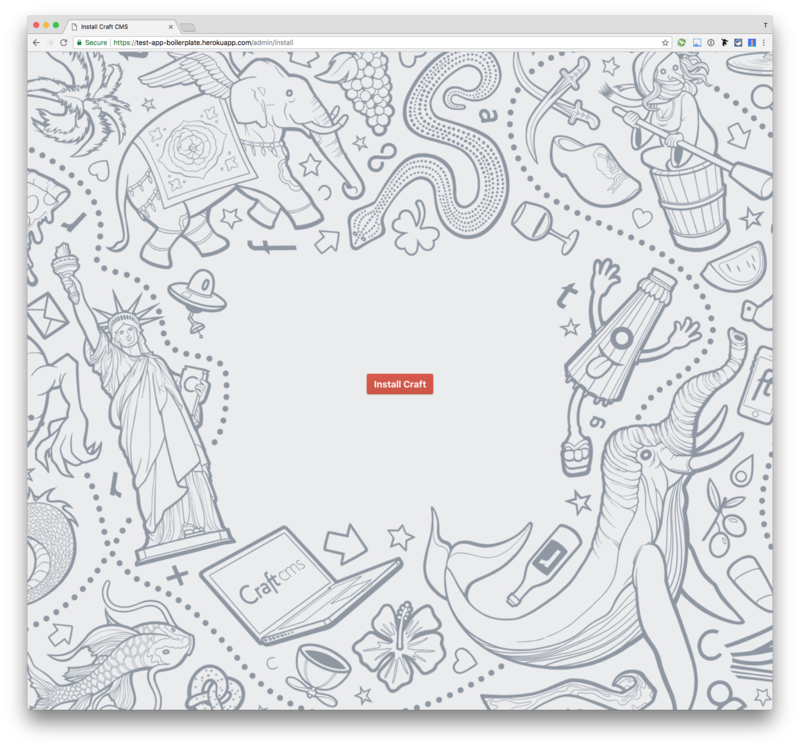 Netlify is mostly for our static websites. Heroku is for almost all other projects. With Craft 3, which was released in April’18, it’s already much easier to install the CMS as a composer package and host it. But there were still some things we needed to take care of in order to host it on Heroku. 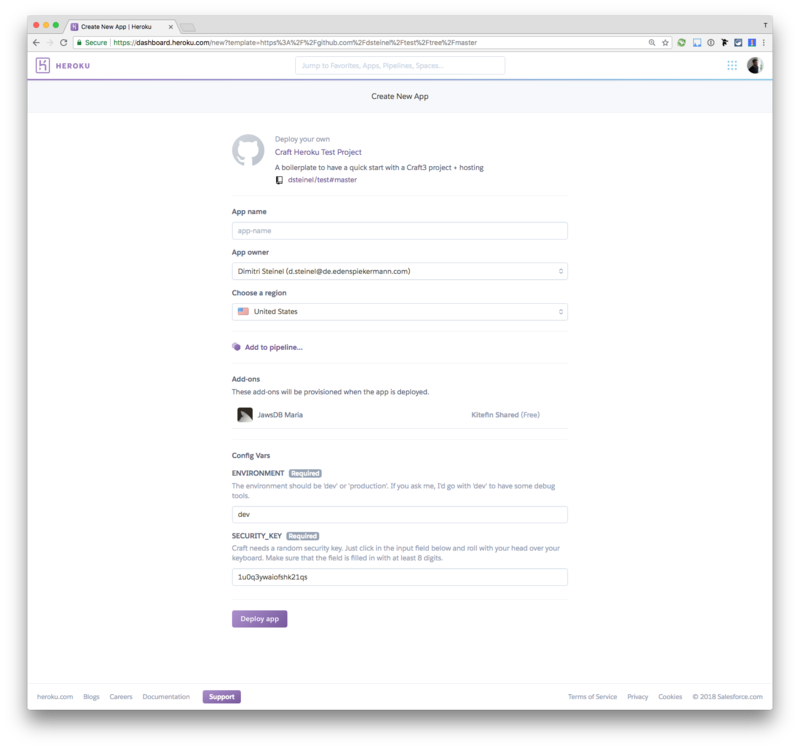 This is a guide on how to set up a Craft 3 project on Heroku. This button has been made for those who just want to have a fresh Craft 3 instance on Heroku. Click the button and directly deploy our public boilerplate repository to a new instance on your Heroku account. Fill out all the details from the guide and you are good to go! Now we need to remove the Github connection and connect the folder with your own Git repository. To make your repository work on Heroku, we first have to update the reference URL with your freshly created repository. Heroku reads all the deploy details from the app.json file. So we need to replace the "repository" URL with your repository YOUR-REMOTE-PROJECT-URL. After you adjusted the link, visit it in your browser. You will see a Heroku page for creating a new instance. It will also install a free plan of a MariaDB and connect it with Craft. Please fill out all the details and don’t forget to choose the region. If you are in Europe, please use Europe and US if you are in the US or nearby. If you choose the wrong region, it could be that your website is slower than it could be. If you have multiple Users, it is recommended, that you upgrade at least the database to a paid plan. It can happen, that the max_connections of the free database plan is used up, when you have too much database traffic. This means, that you can not access the website anymore (Error 500) and you have to upgrade the database plan. Depending on the traffic, you also may have to upgrade the Heroku servers to a paid plan. After the deployment process is successful, go to your new created website and add /admin/install to the URL. Craft will help you to make the setup complete. Copy over all dummy content from .env.example. These are all the details Craft needs for installation. Having troubles with PHP extensions? Craft3 Cloudinary is an integration of the cloud-based image management cloudinary to your Craft3 project. The Blitz Plugin is only for production. 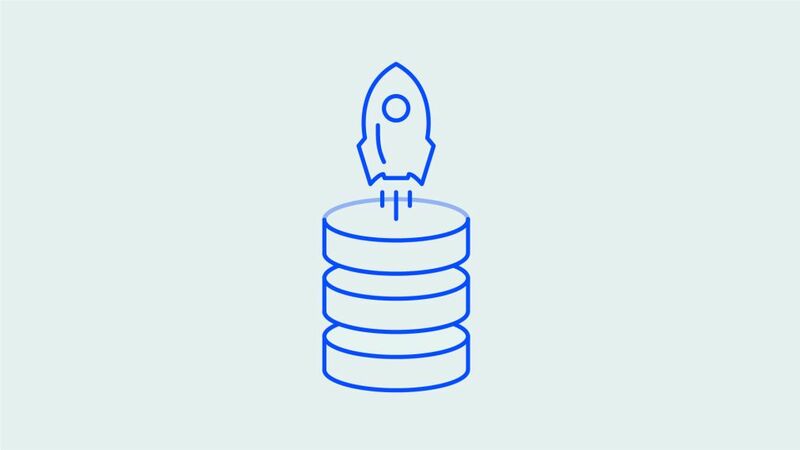 It is a intelligent static file caching for creating lightning-fast sites. If you enable this, your site will be very fast, but you will not see the debugger toolbar. So make sure to disable it in development from the admin panel. If the page is still under construction, it is a good idea to password protect it. Therefore we use Gatekeeper. If you want to develop locally, I can highly recommend you to use a local database, otherwise the website will be quite slow. 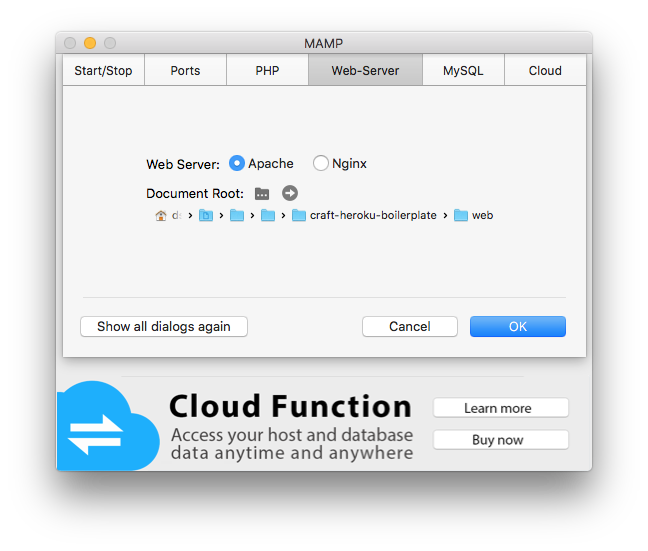 To change the database, head over to your .env variable, change the value of JAWSDB_MARIA_URL and restart the server. Craft has its main folder not in the root directory (in this project it is the web folder), so we need to do some adjustments on the Heroku web server settings. Heroku provides optional configurations in the Procfile. In this project we need to start an Nginx as a web server and make web the root directory of the server. I would recommend to not change the name of the web folder. If you feel like changing it, please read the Docs and don’t forget to change the folder path after the boot-script in the Procfile. This project is using MariaDB instead of MySQL. MariaDB is a complete drop-in-replacement for MySQL. If you need to migrate some datas, you should not have problems here. If you do, you can change the database connection at any time in the Heroku interface by replacing the JAWSDB_MARIA_URL URL with your database URL (settings --> config vars).